TAGS...one for every month of the year! Here is a sneak peek at a project I've been working on for the past week. 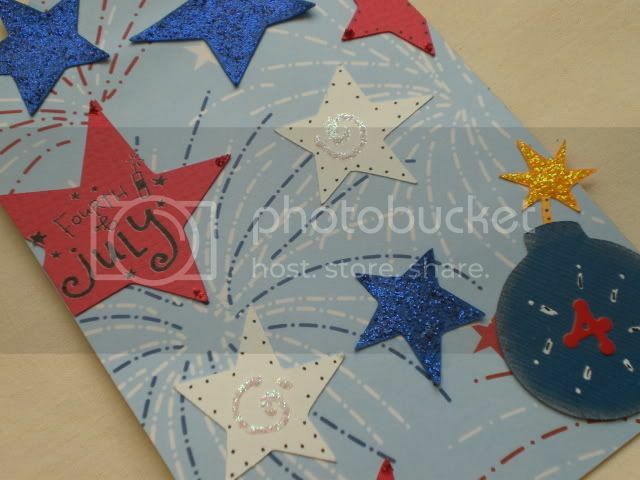 It so happens that this 4th of July piece goes along with the new challenge over at Tag You're It! I'll be posting the whole project soon, so stay tuned!